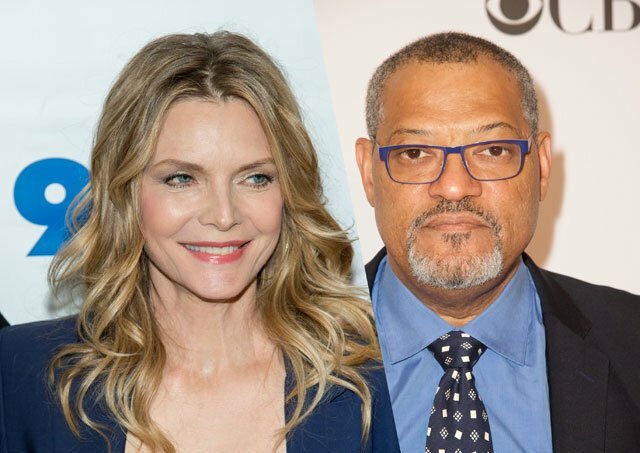 Marvel Studios announced today at Comic-Con that legendary actors Michelle Pfeiffer (Dangerous Minds, The Wizard of Lies) and Laurence Fishburne (The Matrix trilogy, John Wick 2) have joined the cast of Ant-Man and the Wasp! Pfieffer will portray Janet Van Dyne, the wife of Michael Douglas’s Hank Pym and the original Wasp. Fishburne will play Dr. Bill Foster, who in the comics is an assistant to both Tony Stark and Hank Pym and who eventually takes on Pym’s Giant Man abilities and becomes known as Goliath. Both actors have strong comic book movie connections from the Distinguished Competition, with Pfeiffer famously having played Selena Kyle/Catwoman in Tim Burton’s 1992 Batman Returns, and Fishburne taking on the role of Perry White in 2013’s Man of Steel and 2016’s Batman v Superman: Dawn of Justice. Pfeiffer will next be seen in the all-star Agatha Christie mystery Murder on the Orient Express, while Fishburne will lead the thriller Imprisoned opposite Edward James Olmos, Esai Morales and John Heard, the latter of whom just passed away this weekend. Production on Ant-Man and the Wasp is expected to begin in Atlanta, Georgia this month. Confirmed for the cast are Paul Rudd (Forgetting Sarah Marshall, Role Models) as Scott Lang, Evangeline Lily (Lost, The Hobbit trilogy) as Hope Pym, Michael Douglas (Falling Down, Basic Instinct) as Dr. Hank Pym, Michael Pena (End of Watch, The Martian) as Luis, David Dastmalchian (The Dark Knight, Prisoners) as Kurt, T.I. (Fast & Furious 6, The Hangover) as Dave, Randall Park (Fresh off the Boat, The Interview) as S.H.I.E.L.D. Agent Jimmy Woo, Hannah John-Kamen (Killjoys, Black Mirror, Game of Thrones) as the Ghost and Walton Goggins (Justified, The Hateful Eight). Ant-Man and the Wasp is set for release on July 6, 2018.